The only thing between soldiers in a combat situation and bullets fired by enemy soldiers is often body armor. The body armor that soldiers wear today is very heavy with the vest alone weighing up to 30 pounds. The U.S. Army is working on reducing the weight of the vests while designing them to provide more protection against small arms fire. Research is being conducted on making better new generation body armor that is safer and allows greater movement. In March, students at The University of Virginia designed a new generation body armor that is lighter and weighs less than the armor currently in the field with soldiers. 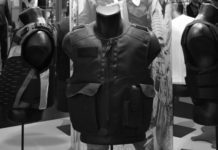 The U.S. Army is very focused on new generation body armor and is working to develop next generation ballistic plates for body armor that it calls the X-Sapi program. So far, the Army has ordered 120,000 of the plates but has yet to issue the gear to soldiers in the field. Aviation Week quotes Lt. Col. Jon Rickey saying that the new plates are designed to defeat an X-threat that has not yet fully emerged. Rickey won’t say exactly what that X-threat is , he only says that the army is attempting to get ahead of what is expected to appear on the battlefield. Some reports peg the X-threat as higher velocity rounds and armor piercing rounds. The new X-Sapi plates are reportedly constructed of the same materials as the current E-Sapi plates. The new plates differ in how the materials are put together. The reason the new plates aren’t in the field already is that they reportedly add half a pound to the weight the solider carries. Half a pound may not sound like much, but on top of what the soldiers already carry, it is a lot. The Government Accountability Office launched an investigation into the reliability of body armor worn by American troops in 2007. The GAO found that the testing procedures used for the plates were flawed. The Army says that it is still in the testing phase with the new plates and is taking the data from the different phases of testing and making a report to offer to the GAO. 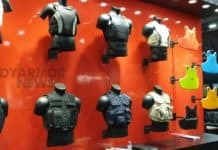 The new generation body armor is also being designed that will incorporate a myriad of sensors and other electronics into the armor. This will help to reduce the load a solider needs to carry into combat. One area that the military is focusing on is helmets. Some new helmets have sensors inside that can help find safer designs after an accident or an attack. New generation body armor designs are also working to incorporate the Land Warrior electronics equipment into the design. 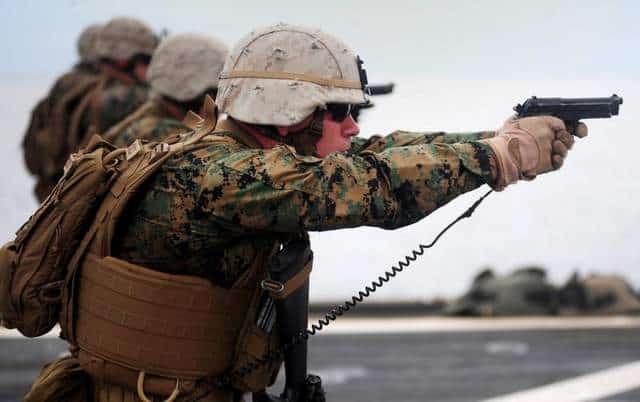 Land Warrior allows the field commander to track the location of friendly soldiers using helmet-based screens and sensors in friendly troops’ body armor.